Earlier today I decided that I had to get out and see something again. 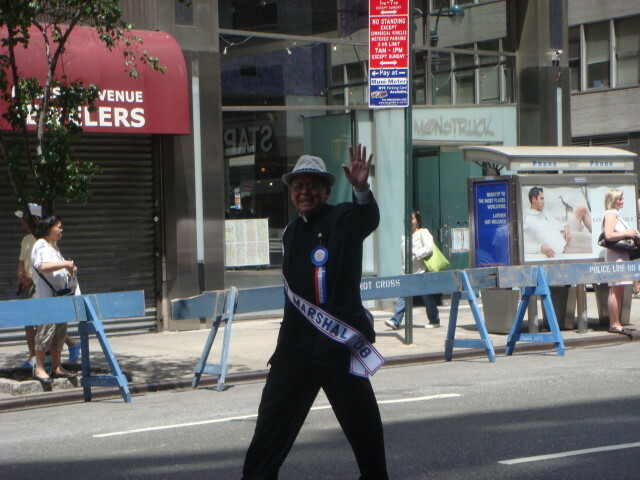 So, I went to the annual Feast of San Gennaro in Little Italy. I thought it was around this time of year and sure enough, it was. This weekend through about next weekend. Little Italy continues to shrink, but it is still hanging in there. That’s good, but NYC is all about change and Little Italy is slowly going away. I took some pictures with my iPhone, but when the light isn’t right it takes such poor pictures that I won’t even bother to post them here. 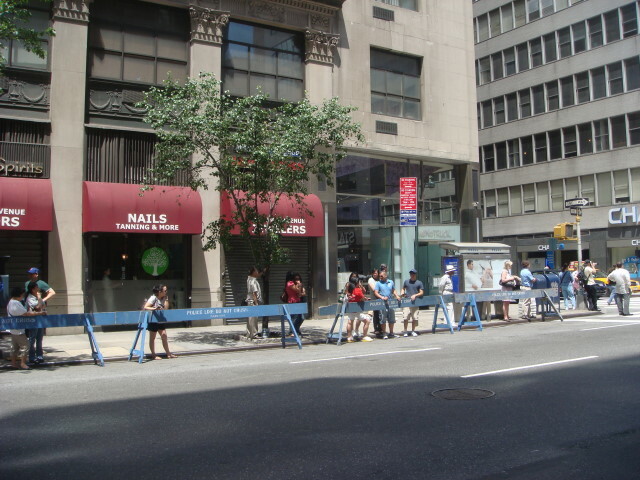 Mulberry Street was blocked off and hundreds of concession stands were out in the street. 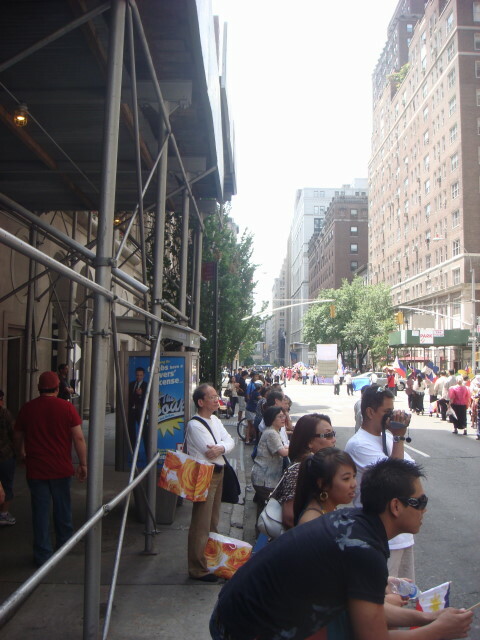 It’s a pretty narrow street and the place gets very crowded. But that’s a good thing. Two things I learned today. First, I was reminded that “Sausage and Peppers” really means sausage and onions with a very occasional (if you’re lucky) bit of green or red bell pepper. I didn’t try it, but it smells great. Second, spumoni Italian ice is…wonderful. Wow. I was walking by a booth and they had these tiny paper cups (very small ones, not for drinking) with a price tag of $3 on it. It said “Italian Ice” on it and the concession owner saw me kind of smile at the absurdity of the price and said something like “Yeah, but you should see what they charge me for it, but it’s still worth it.” I laughed and decided I’d go ahead and try a bit. I noticed the spumoni was more than halfway gone and took that as a sign that it’s good. It looked a bit like Neopolitan ice cream, except the colors were white, brown, and green. It turns out that the flavor combination is pistachio, chocolate, and some sort of coffee (I think). In any case, the Italian Ice is very dense and the flavors were nearly overwhelming. Really good. 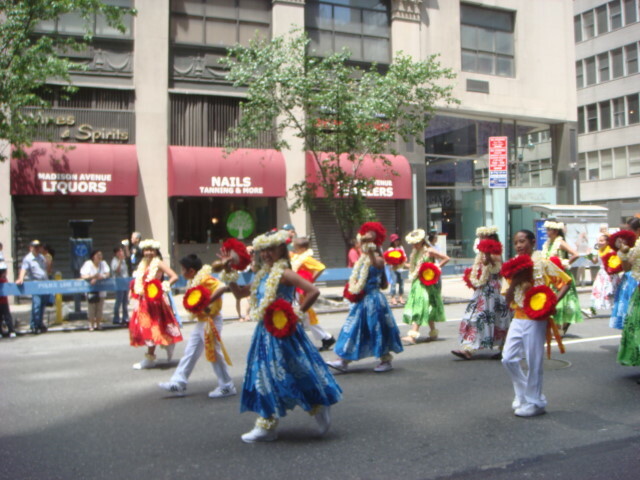 This Sunday Is The Annual Puerto Rican Day Parade!!!!! And I can hardly wait. 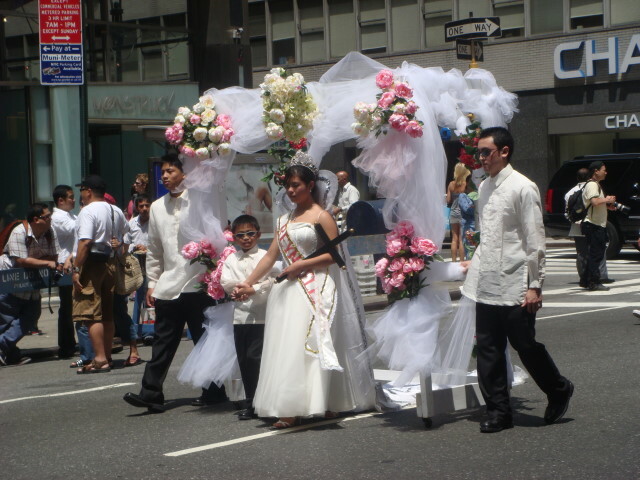 It’s everything you want a parade to be. Loud. Crowded. Boistrous. Loud. Music. Loud music. Louder music. Amplifiers amplifying the amplified loud music. Rolicking, crazy, wild, fun, and loud. This is a group that throws one heck of a parade! 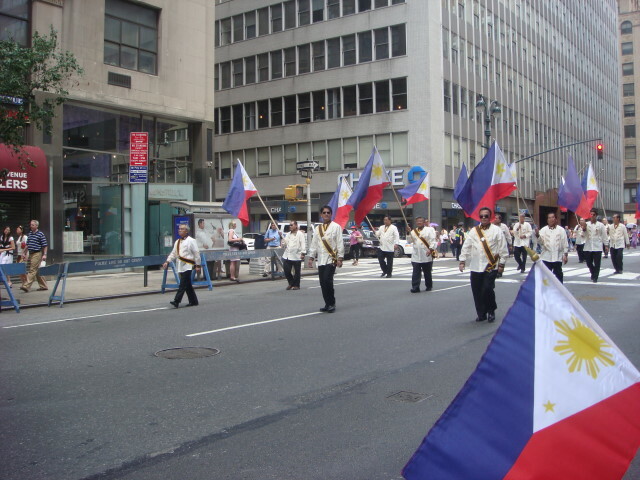 I’ve been in NYC for four years now and this will only be my second of these parades. I actually walked past the setting up once, but didn’t give it any thought. 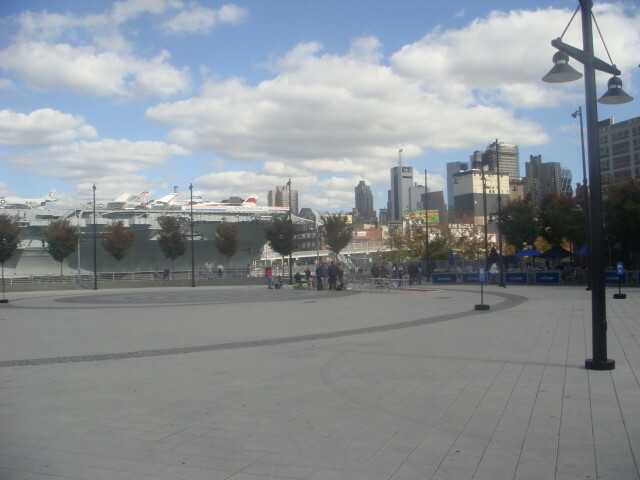 But last year…I went. Got myself one heck of an experience. Wonderful. Just a blast. 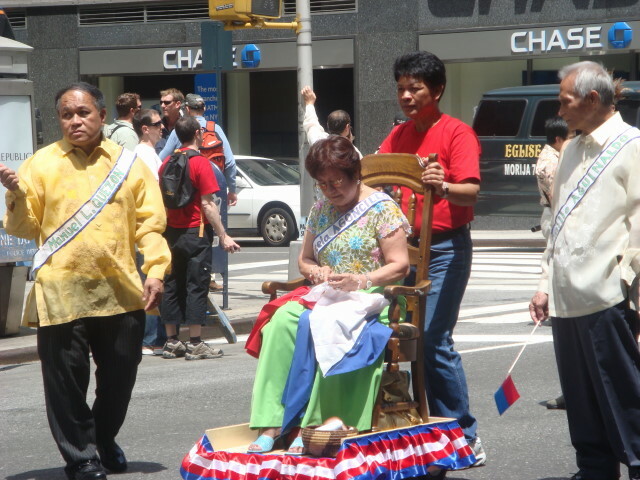 I wrote to family shortly afterward my guidelines for going to the Puerto Rican Day Parade. 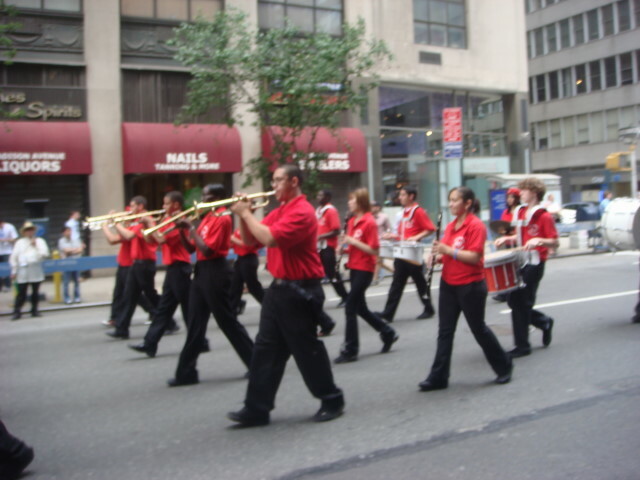 For those of you going to the 2008 parade, here are Famous Ankles’ 2007 rules. 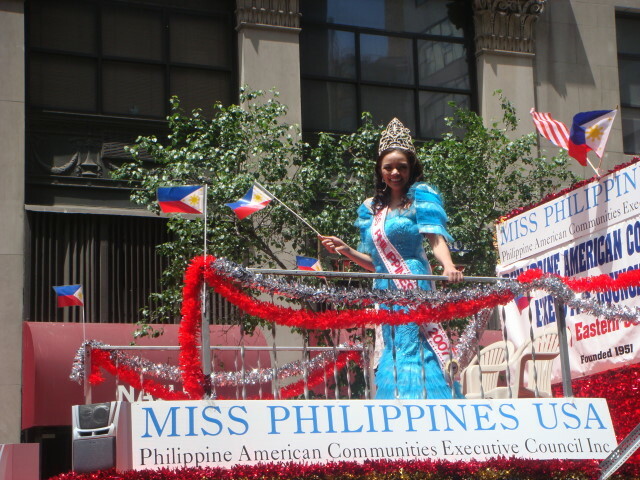 No better way to start off my third and final post on Sunday’s parade than to show Miss Philippines USA. The Jaycees. Or as they marked themselves: The Junior Chamber of Commerce. 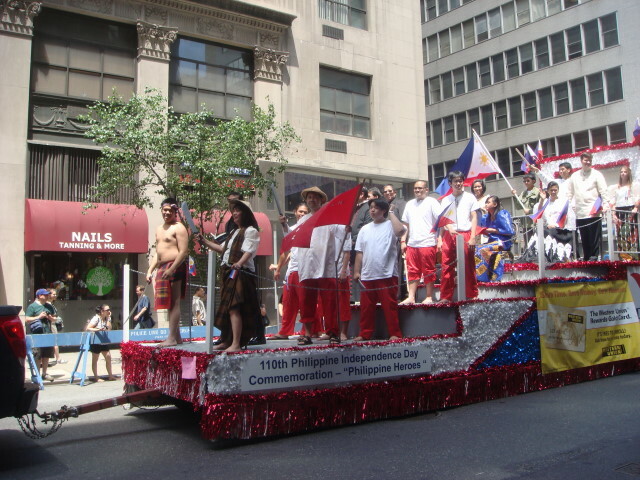 The next group was the Filipino Social Club of New York City. 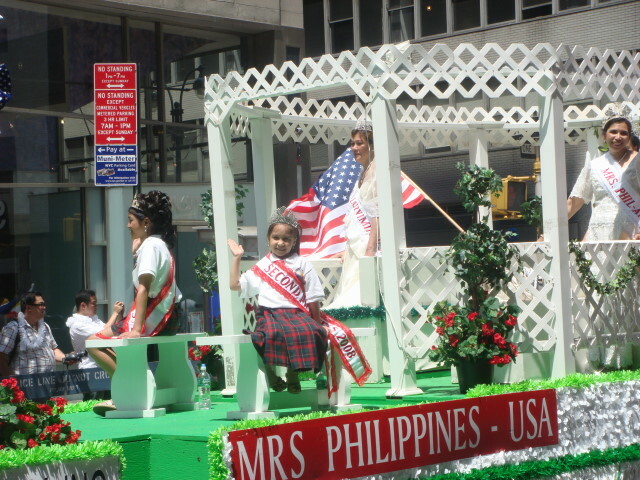 This was Mrs. Philippines USA. Okay, that’s her well to the right in the picture. 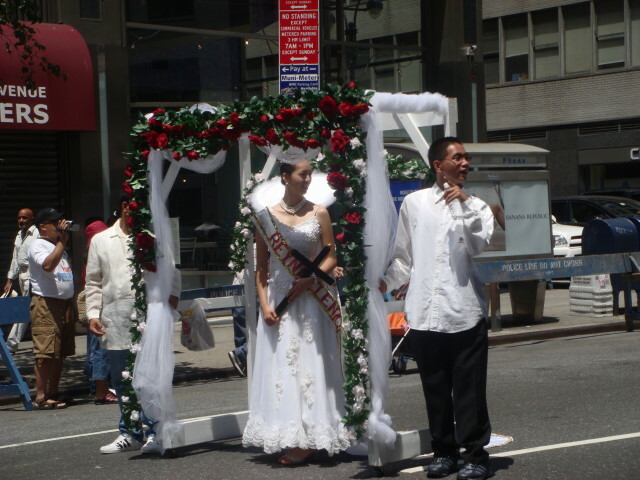 I doubt that Mrs. Philippines looks about five or so. Whoever originated the name of “Filipino Intercollegiate Networking Dialogue” was only interested in getting the acronym “FIND”. The marchers were only interested in tossing some beach balls amongst themselves. I approve of the beach ball fun. I know, I know. You’ve been asking: where are the Bukidnons? Here they are. I haven’t any idea who/what the Association of Bukindons in America is; but here they are. 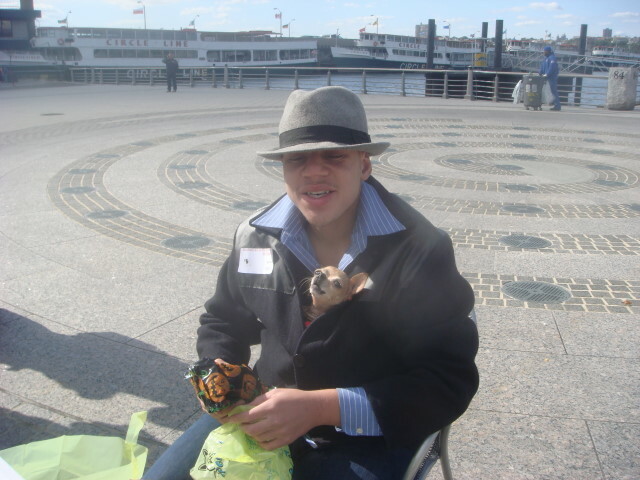 Cool clothing, too. 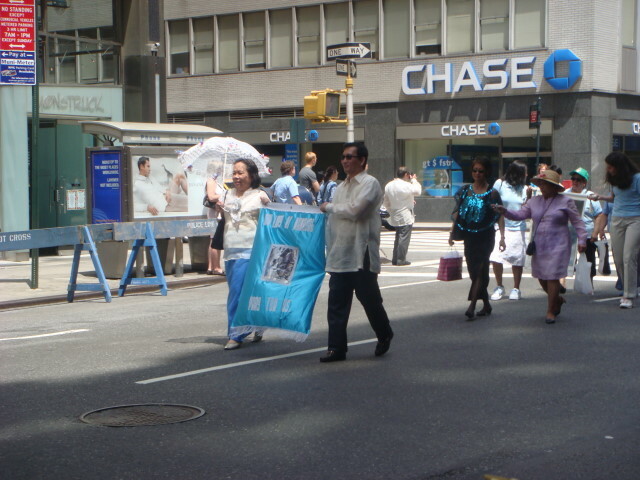 We’d gone too long without Ladies with Parasols. Here came some. 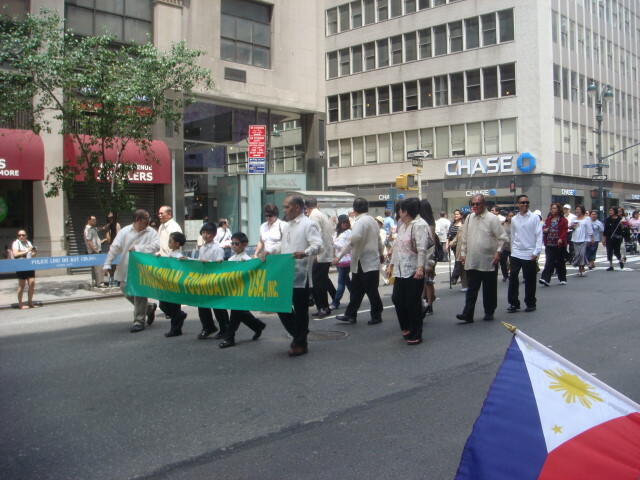 The Philippine-American Association of Connecticut marched next. I liked these ladies and their native dress. A bunch of protestors marched next. The economist part of me is bemused. Their demands? 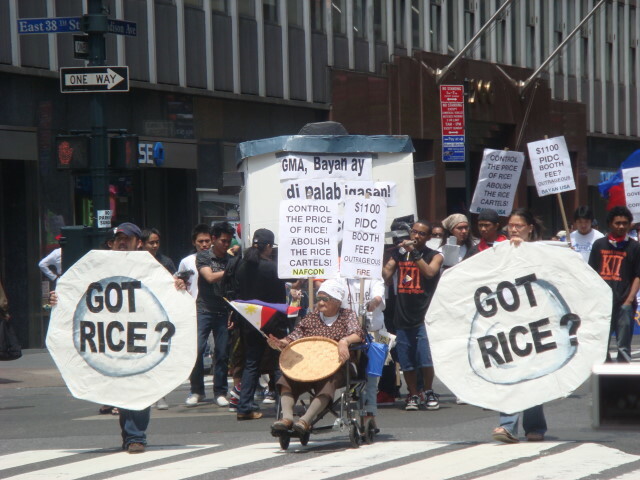 Control the price of rice and abolish the rice cartels. Cartels are designed to control prices; that’s one of the definitions. If you control the price of rice, presumably by keeping it lower, then production lags. If you want to keep the price of rice high, demand lags. End of Econ 101 class. More of the protestors. 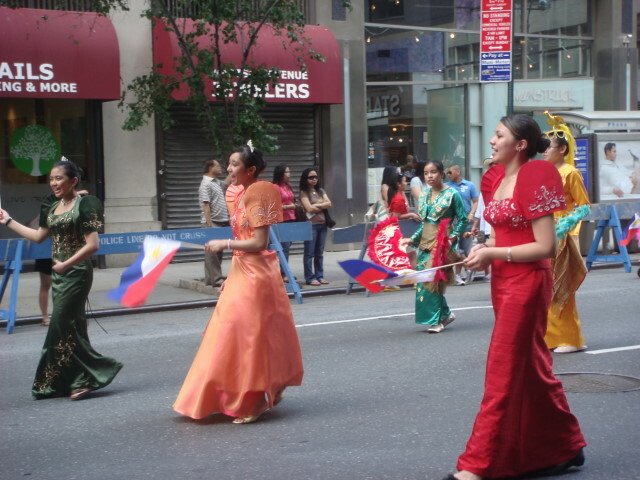 A little bit of trivia: something like 10 percent of all Philippinos have left their country and work in other countries. It’s a big industry for them. 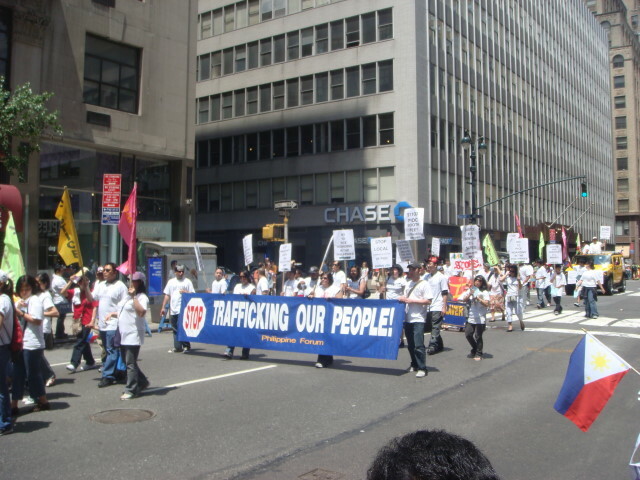 This was an immigration group, but I’m a little bemused by the idea that they are against trafficking people. That seems to be a growth business in the Philippines. 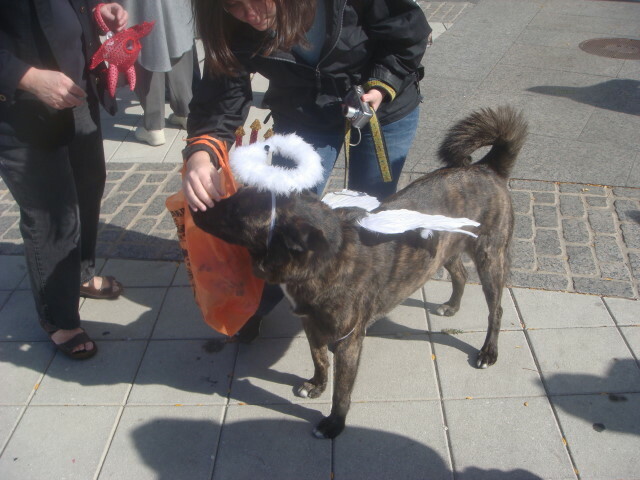 The next group touched something that was missing in this parade. 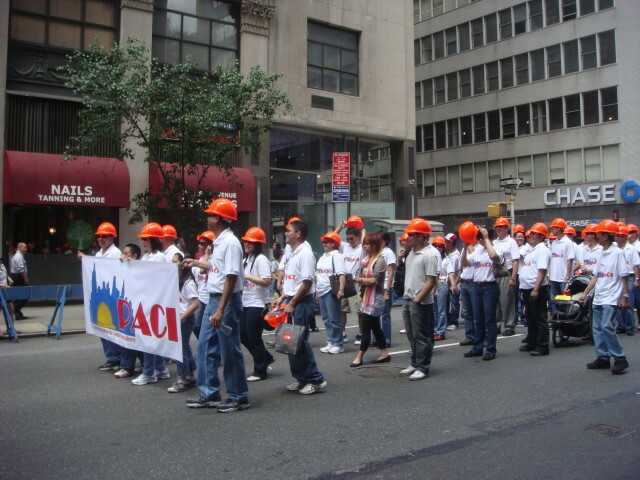 It was a remembrance for Hector Tamayo who died in 9/11. I know nothing about Hector, but they were basically saying that their community has that connection and remembers. 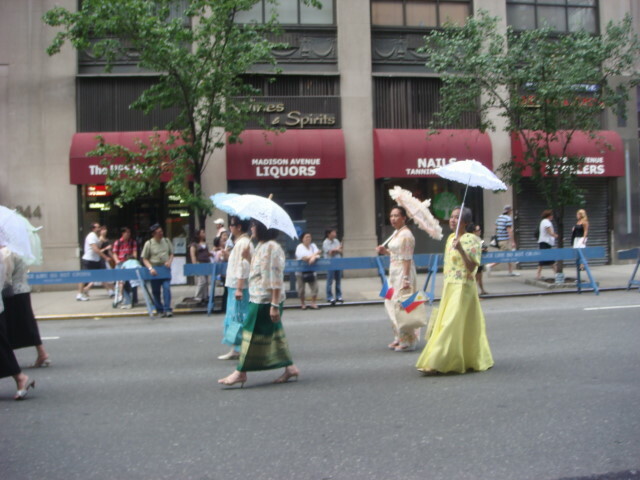 I always enjoyed the Ladies with Parasols and got some more. When I started writing these posts I mentioned that there were a bunch. But then, that’s just fine. 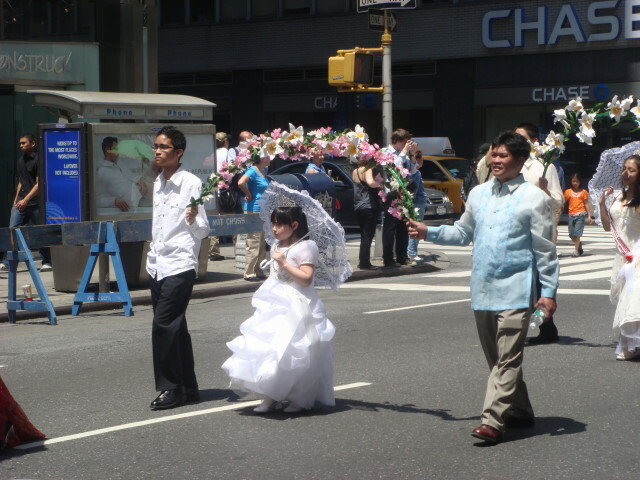 Well, we’ve had Ladies with Parasols and “brides” and now we have “girls under flowers”. I haven’t quite seen this before. 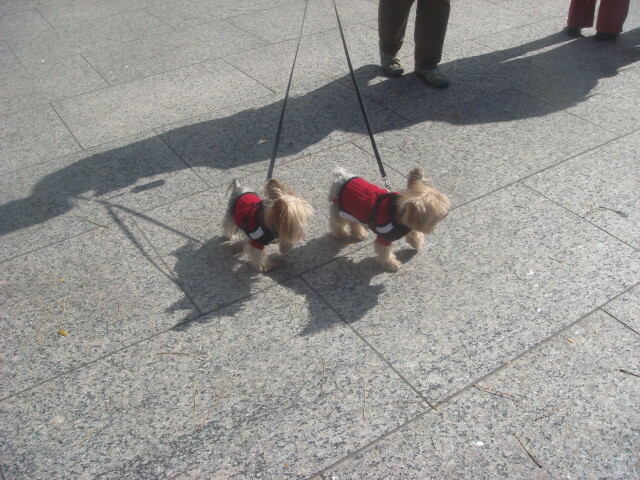 Yeah, these girls were adorable. 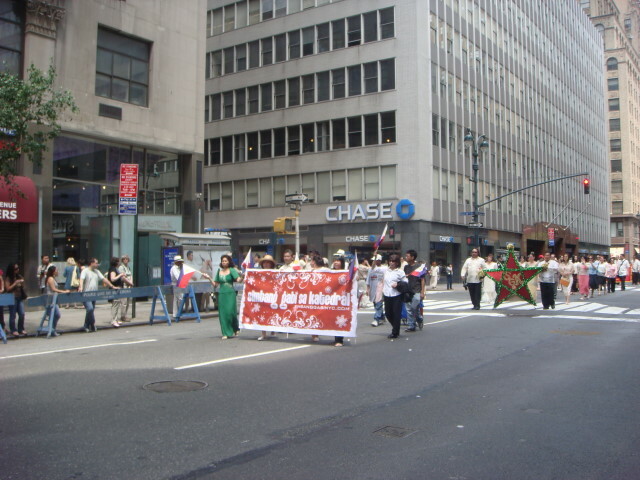 I imagine all of this group got pretty tired walking the 14 or 16 blocks of the parade. I am utterly baffled by the below group: The Original Maharajah USA, Inc. Who they are, what they stand for… Just baffled. 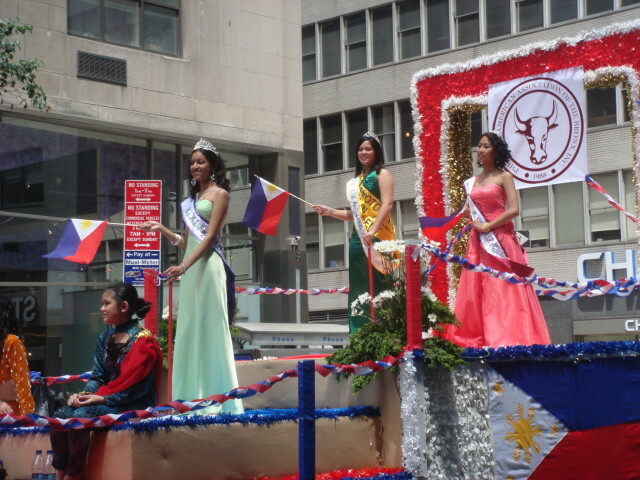 A last group of beauty queens. That’s a reporter who jumped up there to grab an interview with a queen. 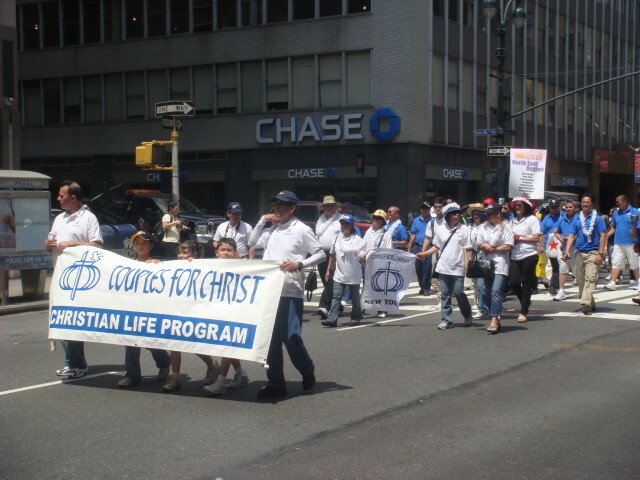 The final Church group: Couples for Christ. And the final group: the promised bagpipers (that’s what I promised in the first post; that this parade was begun and ended by bagpipers). 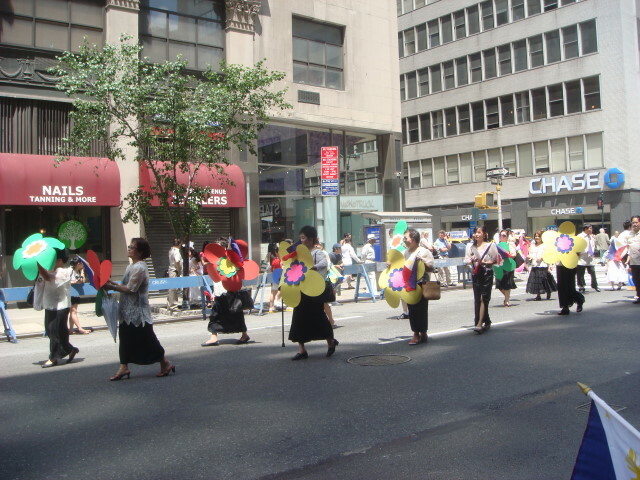 All in all, a mild parade that was really only distinguished by the Ladies with Parasols. 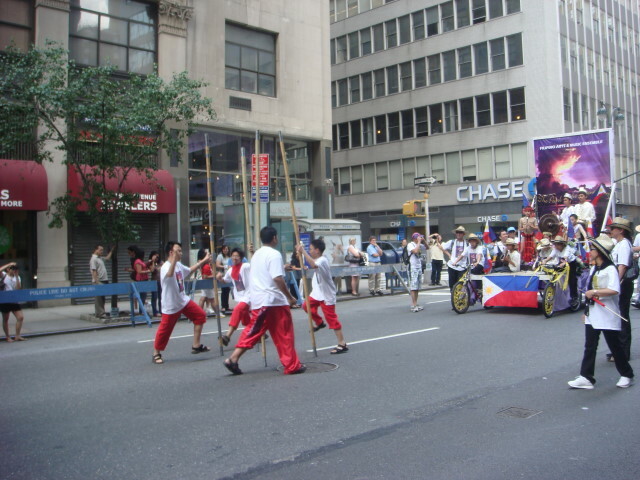 I enjoyed it, but the groups seemed a little staid. 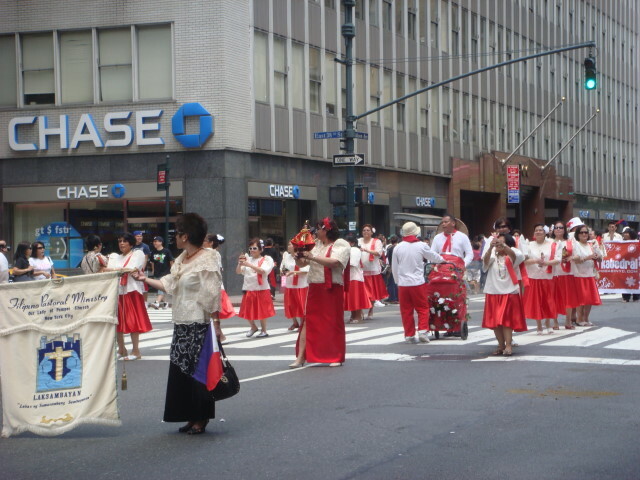 Next weekend, the Puerto Rican Day Parade. Now they are not dull in the least. 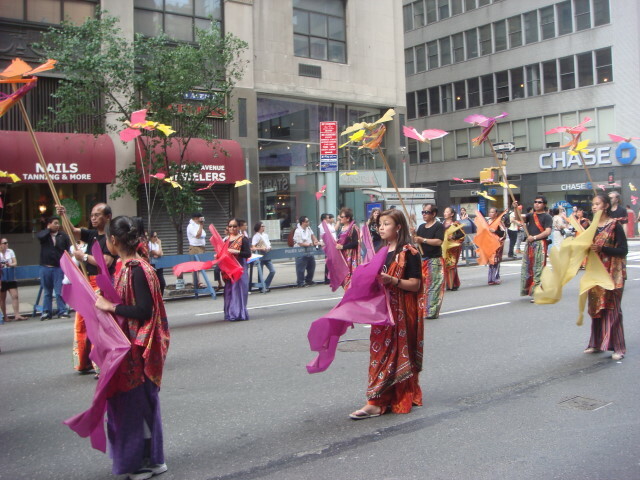 On Sunday, parade season continued its winding up process. 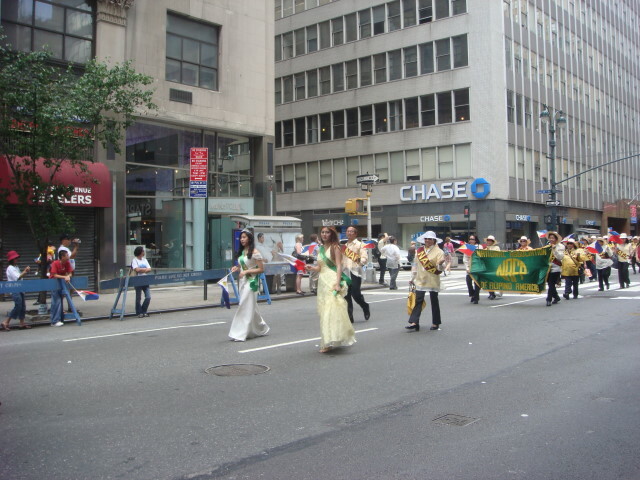 There were two parades (unfortunately, I missed the second one: Salute to Israel). 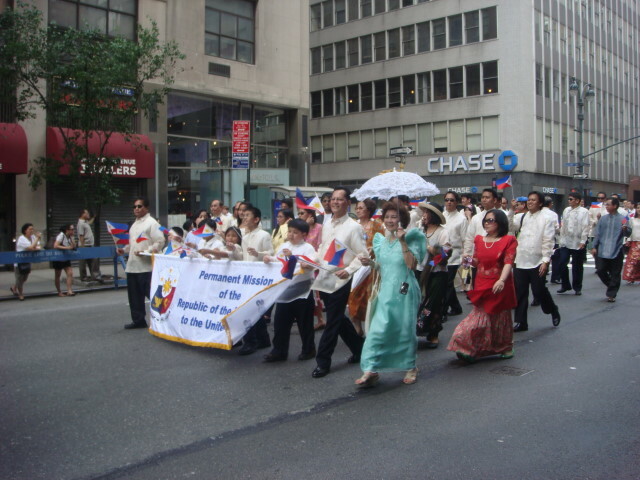 The one I did attend was the Philippines Independence Day parade marking 110 years since their liberation from Spain. The fact that they then went under the USA’s territorial rule seems to be ignored. But I believe we were mostly benign, or at least better than the Spaniards. 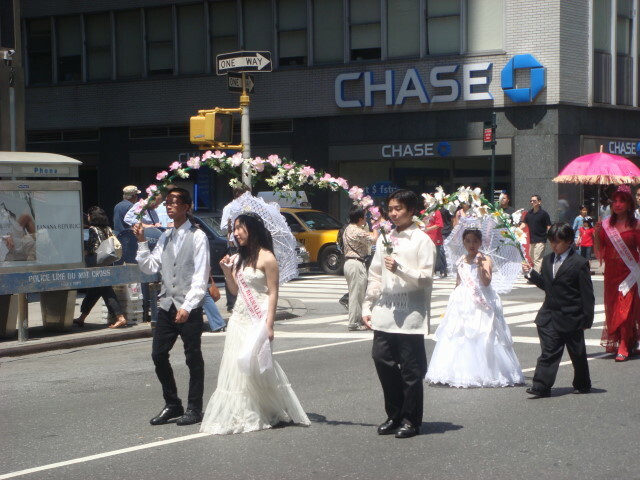 Kind of a strange parade. Nothing wild nor weird, but a few points of interest. I ended up taking lots and lots of pictures but will post relatively few. 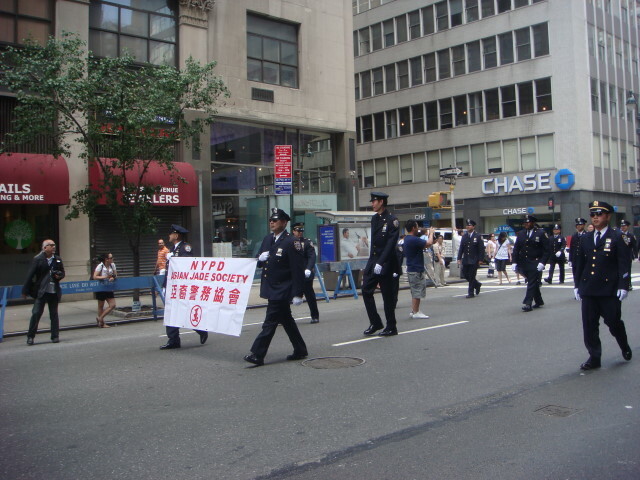 Sorry, but a lot of the parade was just a lot of little groups that often went without decent signage. 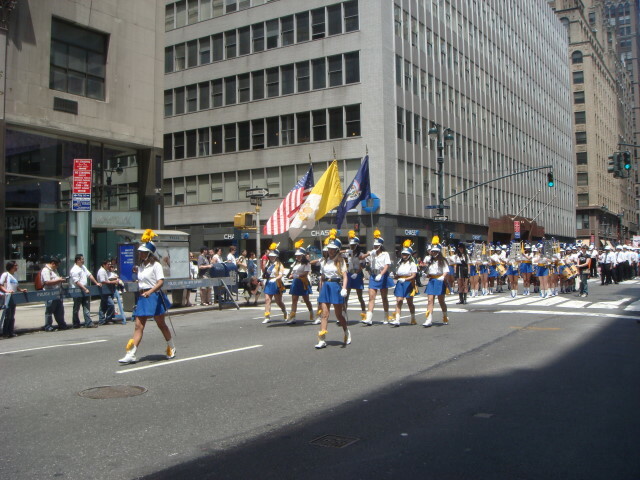 Otherwise, I could have done a five day post on this (and that’s too long for only a mildly interesting parade). But I shouldn’t complain. 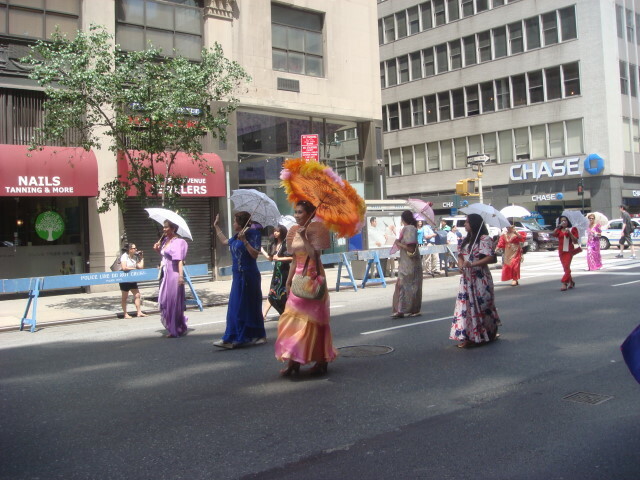 They did have a new twist that I thoroughly enjoyed: ladies with parasols. You’ll see a mess o’ pictures of them. And another interesting point. 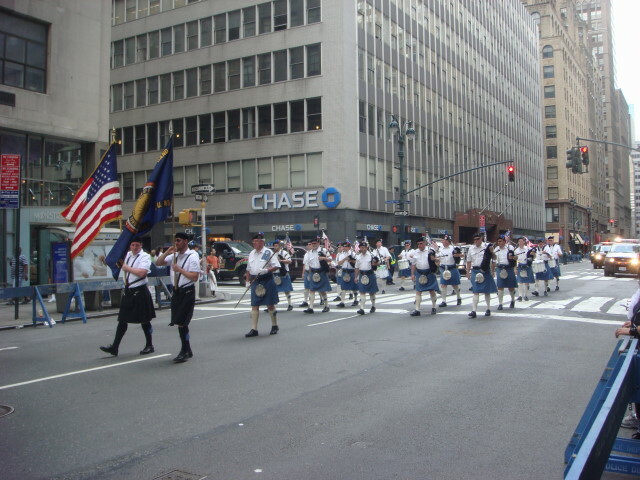 They actually began and ended with bagpipers. I think only the Tartan Parade may have done that, and I don’t think that parade actually did manage that trick. 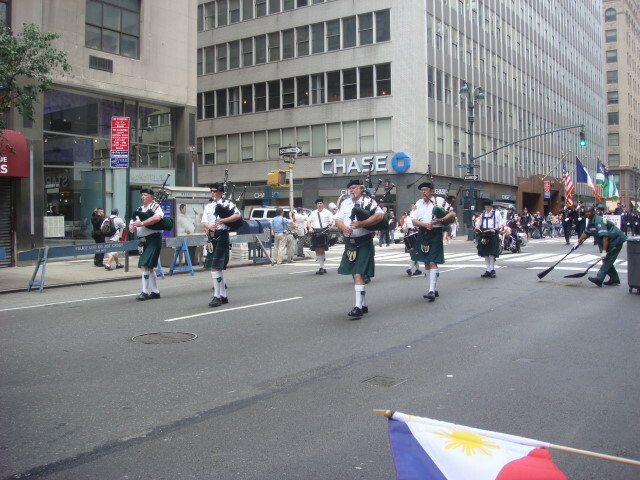 Here’s the first set of pipers. 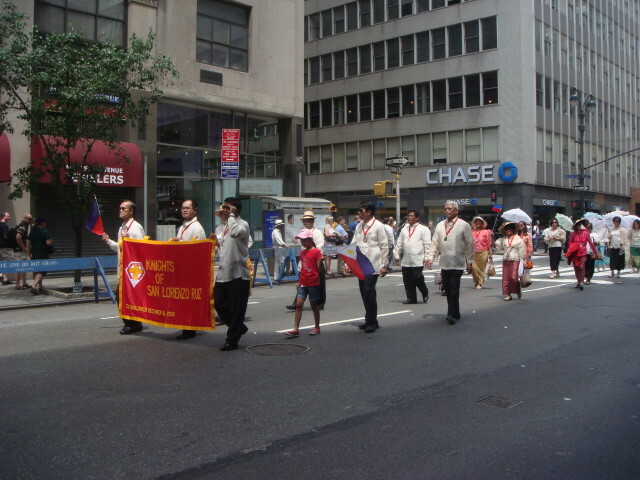 They were followed by the Asian Jade Society, which seems to be a Philippino police group. There was one very tall cop in the group. The Philippines is a small country with a whole bunch of people. And a lot of them appear to be dignitaries of some sort. 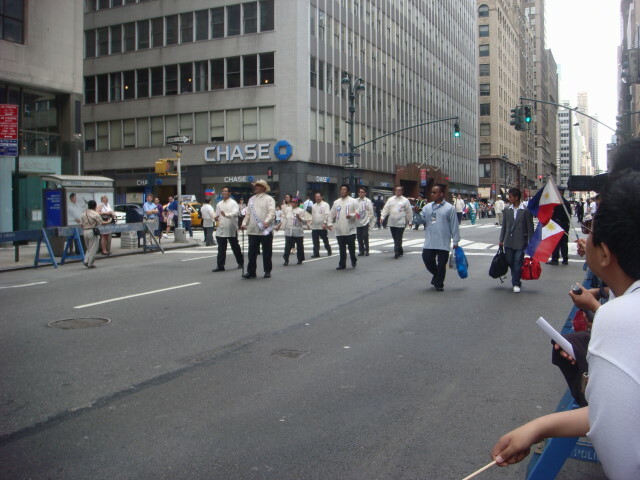 And a whole bunch of those dignitaries marched in this parade. At least I call them “dignitaries” as they seem to be there as thanks for their participation in the community and the parade; but don’t have signs saying who they are. Yes! 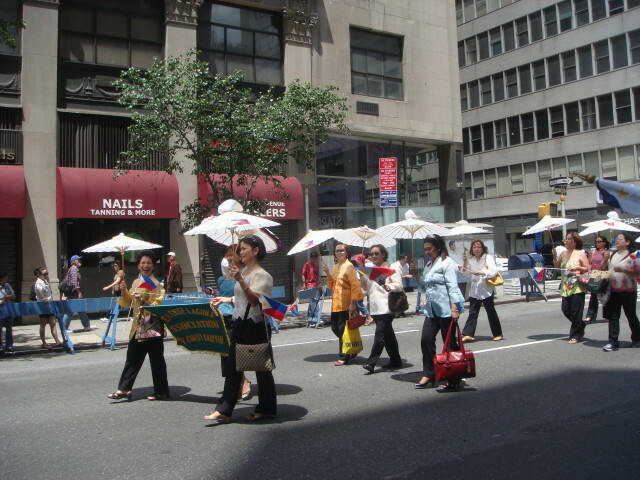 Ladies with parasols. 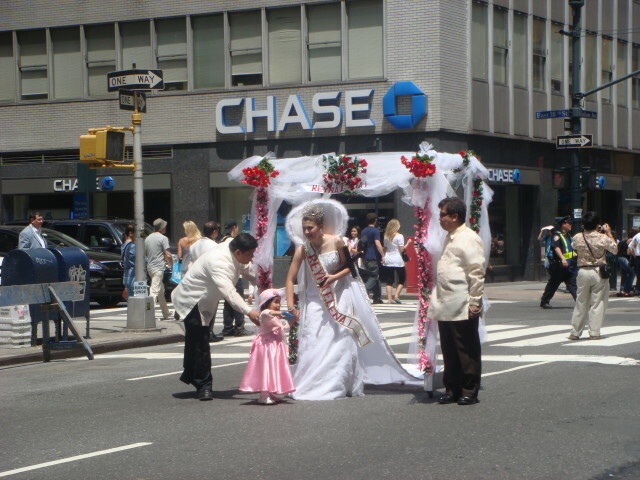 I presume it is traditional in the Philippines and I must say I think it’s great. 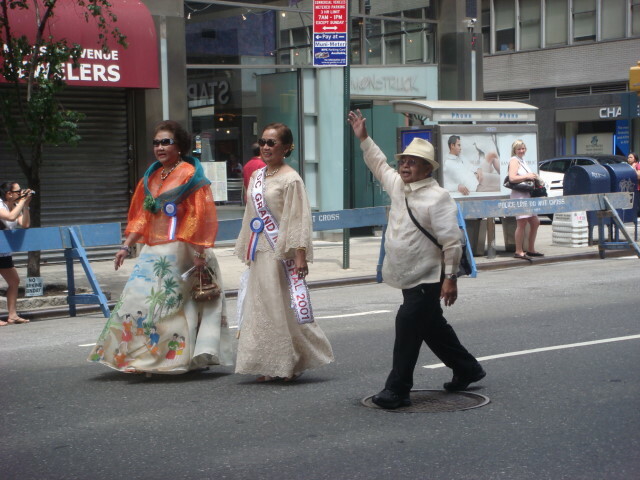 (I think these are actually Lady Dignitaries, but I just like to think of them as Ladies with Parasols. A well marked dignitary. 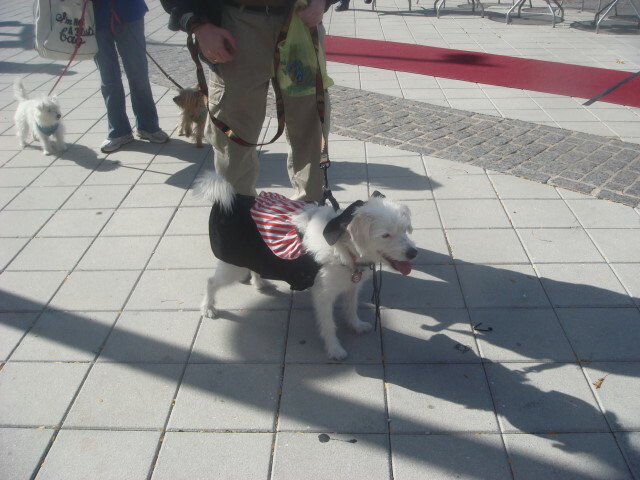 Below is the Grand Marshall. 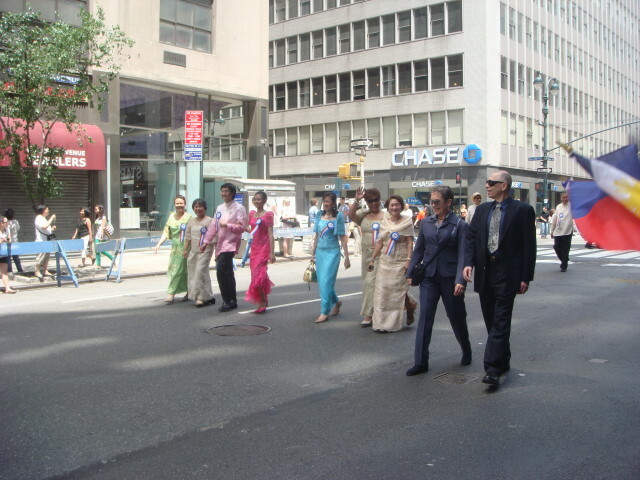 More dignitaries, but the ladies had no parasols (so they don’t get capitalized). 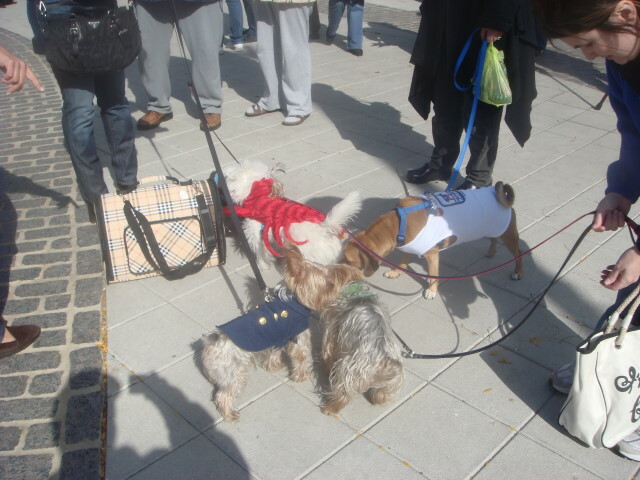 More dignitaries. 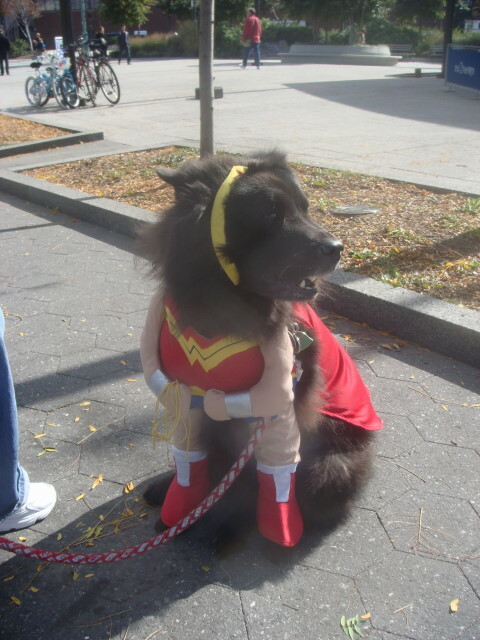 I just keep showing these because there were so very, very many of them. And then, a high school band. 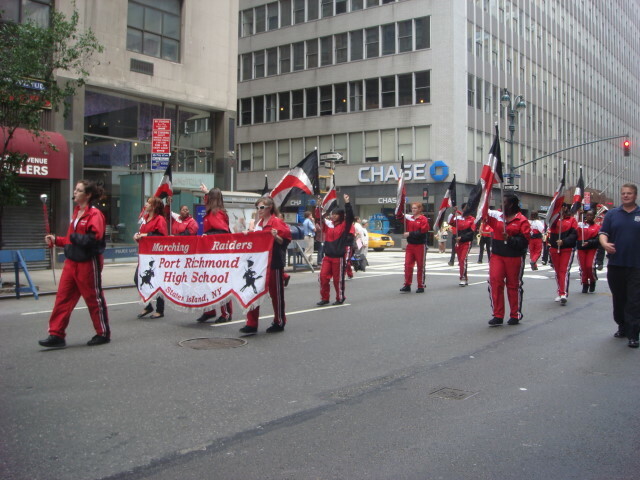 It is the Port Richmond High School band from Staten Island. 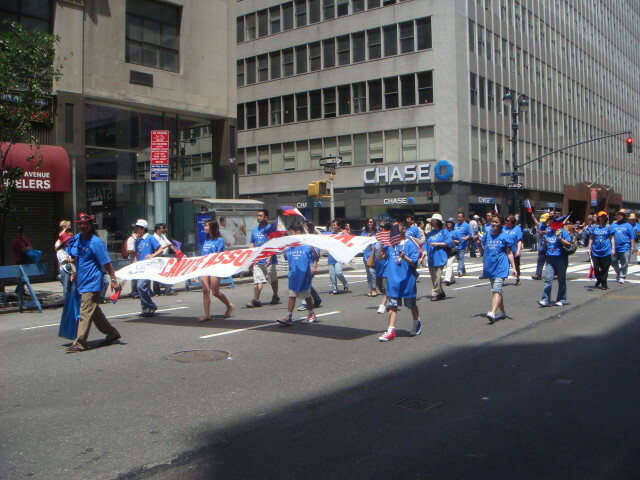 The group in front were flag carriers. And the band was pretty small. Well, it was a small crowd, too. Look! More dignitarties! 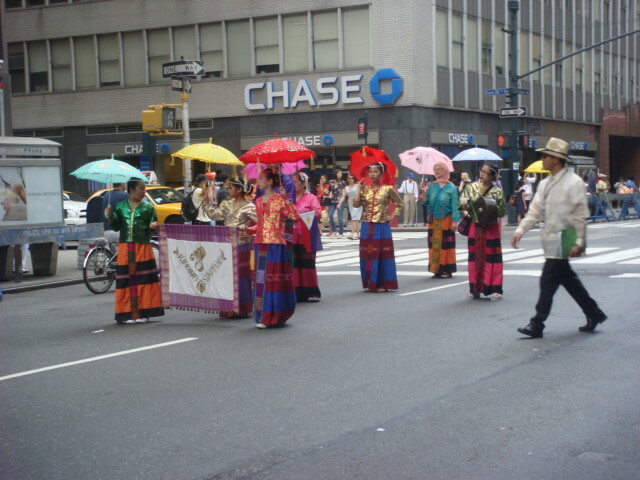 The men are wearing traditional clothing, but nothing as cool as Ladies with Parasols. 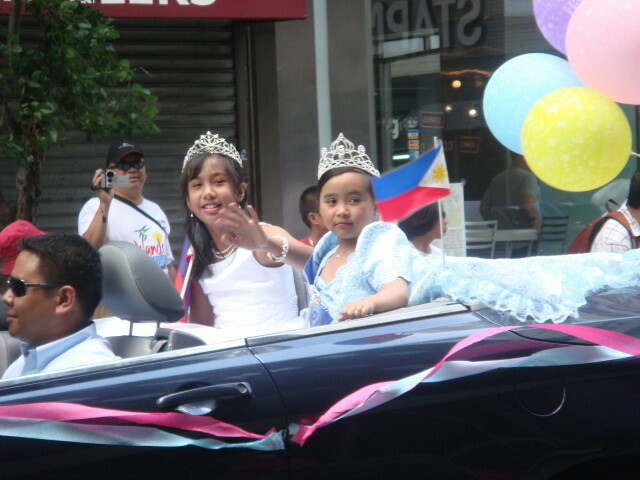 More lady dignitaries. It was really strange. They just kept coming and coming. More dignitaries, but these ones are marked! 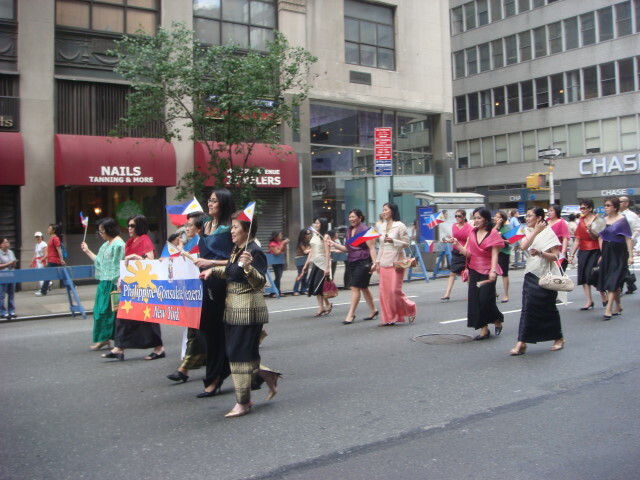 Hurray for the Philippine Consulate General staff. 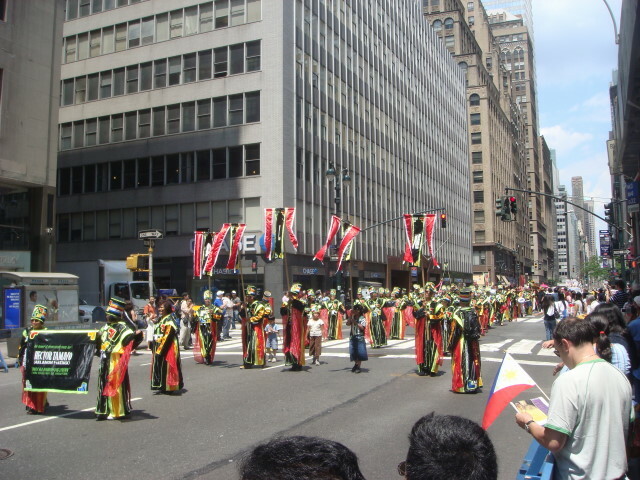 The first part of the parade was packed with Church groups. This is El Shaddhai Prayer Partners. 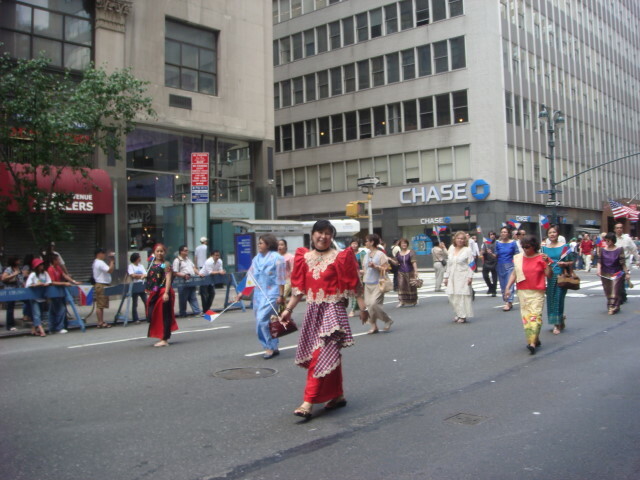 And this is the El Shaddhai group from Connecticut. 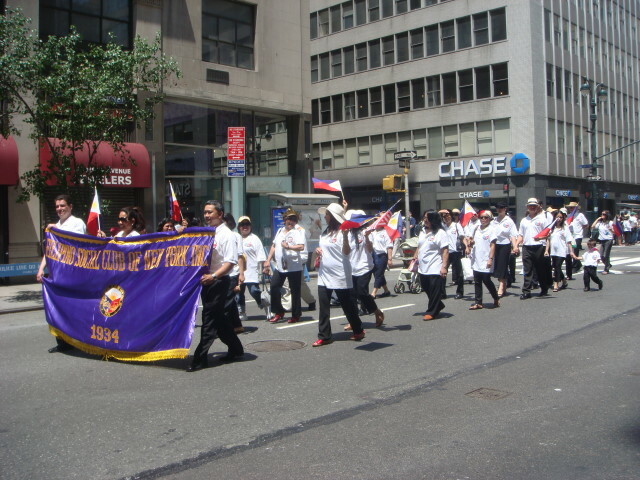 This is the Pangasnian Foundation USA. I don’t know anything about them, but the Web indicates that Pangasnia is a Philippines province. 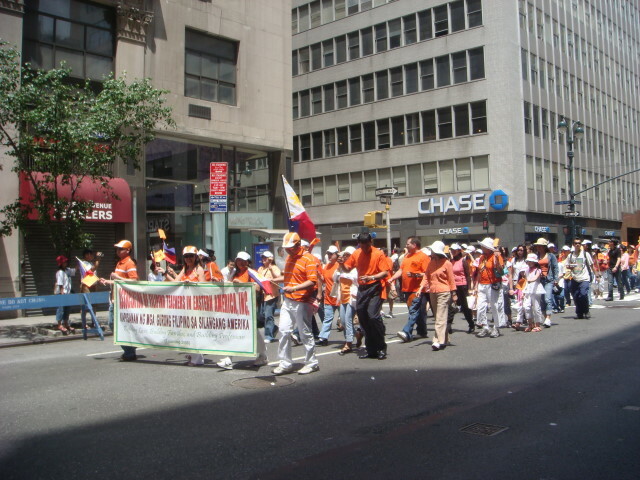 This is a group from Our Lady of Manaoag. I loved this quote. 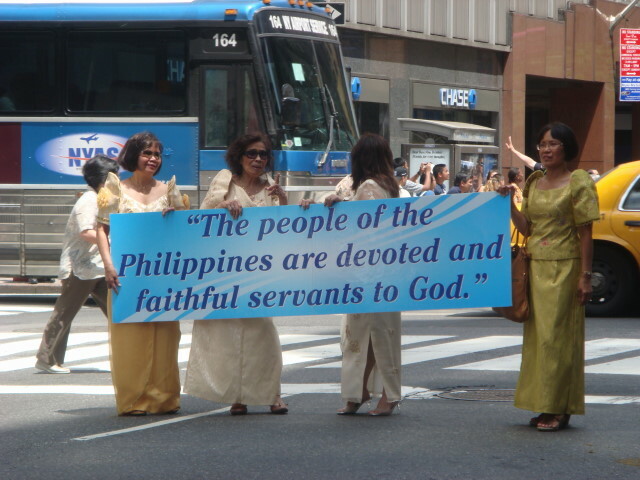 It seems very direct: “The people of the Philippines are devoted and faithful servants to God.” I don’t know the source of the quote and couldn’t find it by searching. 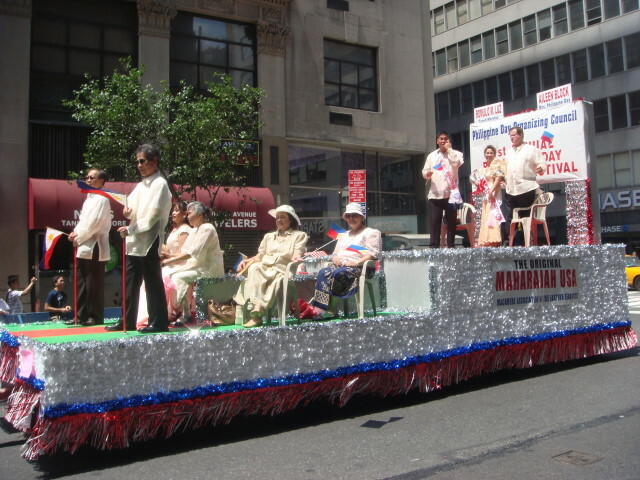 This was the first float. 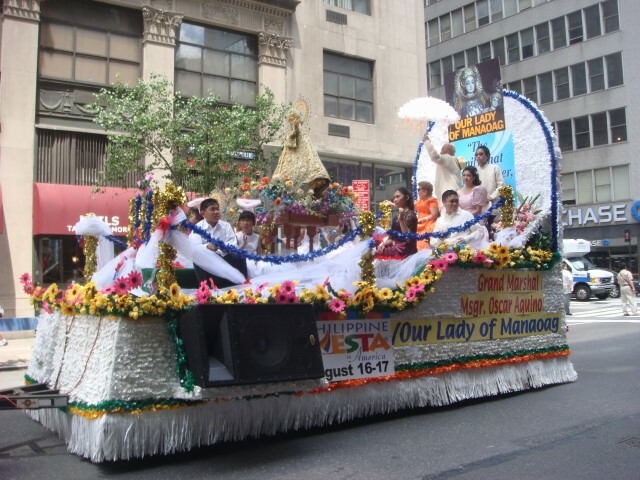 It came from Our Lady of Manaoag. And, I think, it was the only instance of a Gentleman with Parasol. 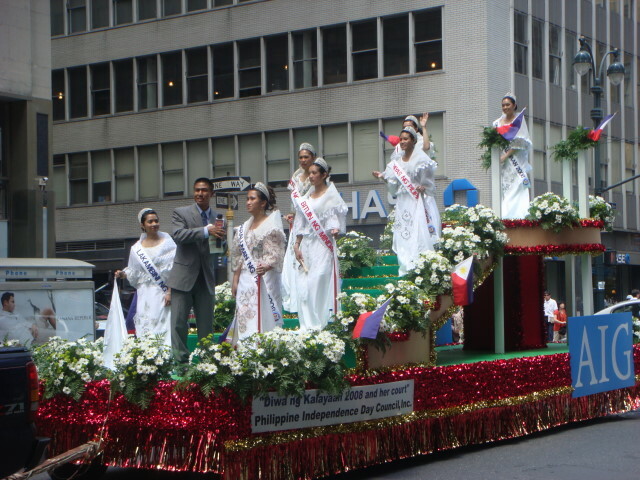 I love the name of the next group: Paaralang Pinoy from the Filipino Diocesan Apostolic Queens Council. I know it has to be a Church group, but haven’t got the foggiest of what it is. 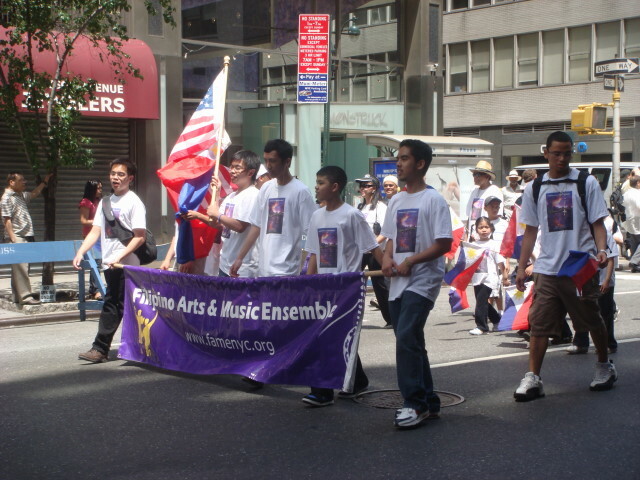 And the next group was a little more understandable: the Filipino Arts and Music Ensemble. The next ladies didn’t have parasols, but they were fine anyway (a crown is always a plus and a couple of them had them). Continuing with the arts group was this pole dancing crew. Different kind of pole. 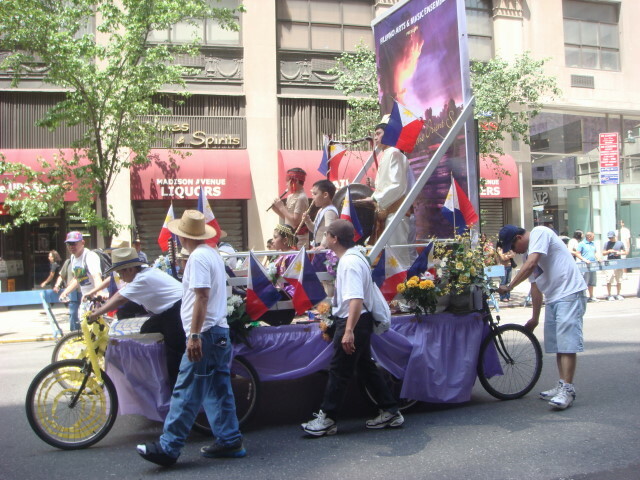 This was the Ensemble’s float; but notice that it is actually some bikes cobbled together. This is a teachers group. I presume the kids made the flowers. 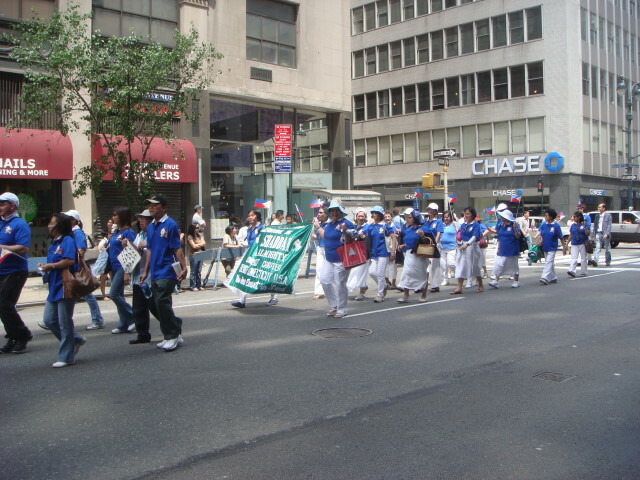 There were a pretty fair number of these marchers in the group, but they were spread out.